In the ‘article’ Aleksovska attempted to lambaste Prof. Stephen G. Miller over a letter that he wrote to President Obama. In the letter Prof. Miller outlined several historical innacuracies being perpetuated by The Former Yugoslav Republic of Macedonia (F.Y.R.O.M) in order to lay claim to the legacy of the Macedonian region, including Alexander the Great. 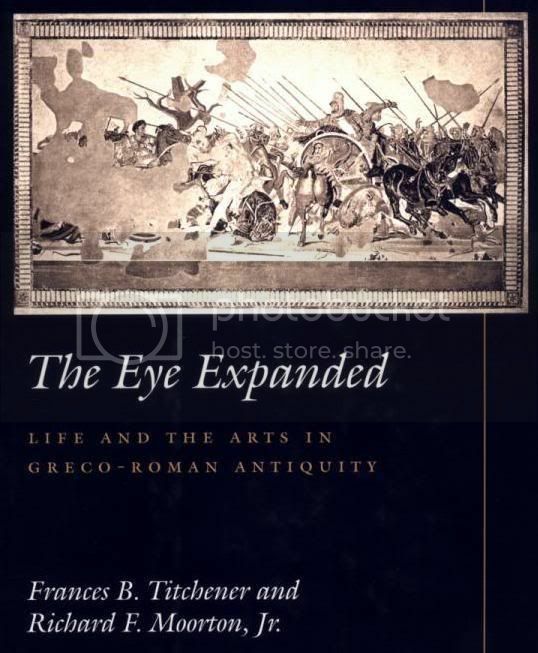 By attacking Miller’s position with regards to F.Y.R.O.M’s state sponsored national historiography Aleksovska is effectually defending the notion that the Slavic population of F.Y.R.O.M is linked to Alexander the Great and the ancient Macedonians. Unfortuately for Aleksovska no credible and objective authority in the fields of Antrhopology, Sociology or Balkan History will lend any credence to a relationship between F.Y.R.O.M and ancient Macedonia. This is further bolstered by the fact that over 250 world class international Classical Scholars , to date, have signed Miller’s letter. Where on the list are respected scholars like Eugene Borza, Ernst Badian or Peter Green, who have written the most respected books on Ancient Macedonia. Evidently “Aleksovska” is not familiar with the published views of Badian and Borza. If she was familiar with their work she would know that much of what they have published is far more devastating to her cause than any statements in Prof. Miller’s letter. 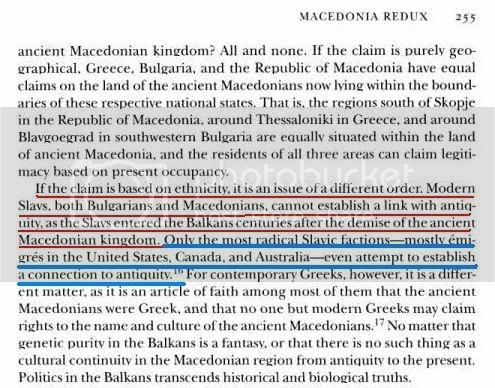 As a matter of fact Borza made a point of stating that modern “ethnic Macedonians” have no relationship to ancient Macedonia. It seems that the uneducated nationalists from F.Y.R.O.M and her diaspora cannot see beyond Badian’s and Borza’s views of 4th century BC Macedonia and have taken to blindly citing them ad infinitum in any situation that they think suits their cause. There is NO reason to deny the Macedonians’ own traditions about their early kings and the migration of the Macedones. Aleksovska should also acquaint herself with Borza’s positions regarding F.Y.R.O.M’s modern history before she implicitly associates Borza with her nationalist historiography. These are Borza’s published views on F.Y.R.O.M’s modern history and they are far more damaging to Aleksovska’s political agenda and nationalist historiography than Prof. Miller’s letter! 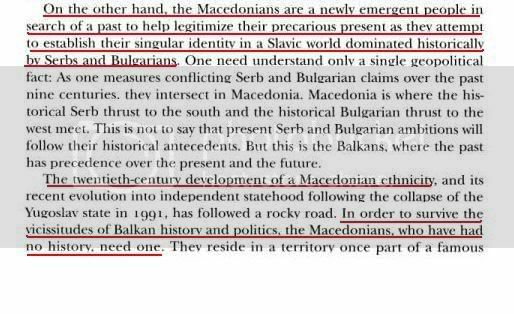 Note: Borza made no mention of a “Macedonian” ethnicity in his description of Macedonia’s pre 20th century demographics. 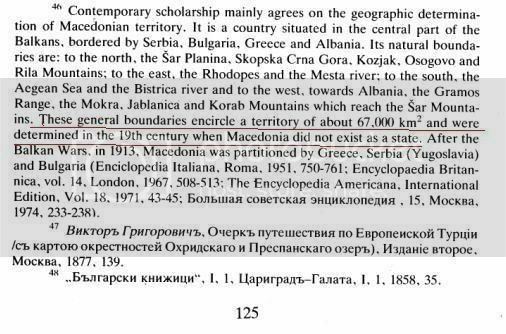 Note: Borza stated that the region of Macedonia was an ethnic quagmire. This is a far cry from the F.Y.R.O.M nationalist claim that “Macedonia” was populated in the vast majority by “ethnic Macedonians”. Note: Borza claimed that only the most radical Slavic factions, mostly found in F.Y.R.O.M’s diaspora, make claims of a relationship to ancient Macedonia. Keep in mind that Borza wrote this article a few years before the Gruevski administration took power in F.Y.R.O.M. Even Borza, who is one of the favorite historians of F.Y.R.O.M nationalists, would classify Gruevski’s ideology as radical! Note: Borza stated that the “Macedonians” are a new ethno/national group that have no history and as a result must construct one. Remember that this is Aleksovska’s recommended authority on Macedonian history! The ´elephant in the room´ in this argument has always been the fact that Modern Greece stole Macedonia from the Macedonians in 1913.
did not record any “ethnic Macedonian” population in their detailed report of the Wars. Aleksovska also made the absurd and unsubstantiated claim that there were no Greeks in Macedonia prior to the Balkan Wars. 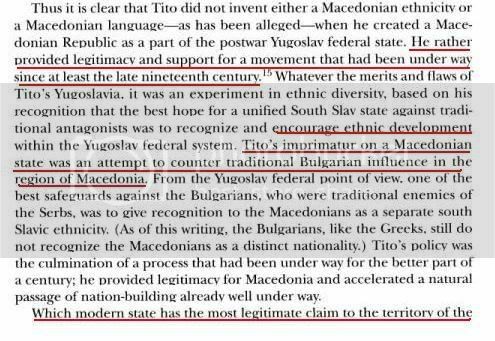 This is a very amusing statement in light of the fact that the 1914 Carnegie Commission report on the Balkan wars described Greek populations and made no mention of “ethnic Macedonians“. This after the commission sent a team of investigators to the region to examine the conduct of the various combatants. 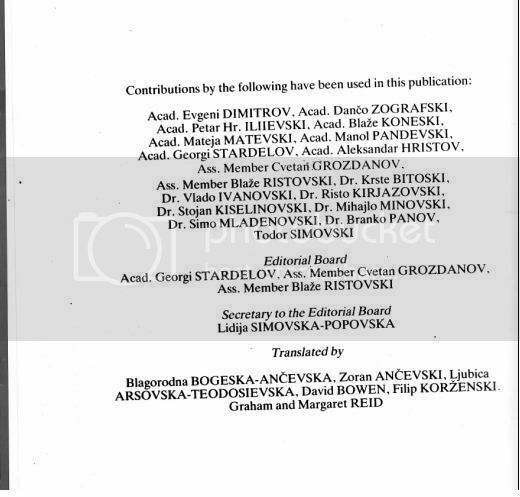 How does Aleksovska propose that an international commission did not record any “ethnic Macedonians” in a region in which she would claim they formed the vast majority? As a matter of fact a large number of writers from the 19th century, and before, recorded vast Greek populations in Macedonia while making absolutely no mention of “ethnic Macedonians”. One such writer was George Finlay who spent time in the region during the Greek war of Independence. Finlay, unlike Aleksovska, was in the region during the 19th century. Aside from making no mention of “ethnic Macedonians” in his detailed accounts, he stated that Greeks formed the majority in the Pashalik of Thessalonika.